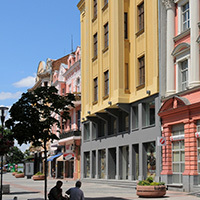 An invaluable cultural and historical heritage lies in the heart of the city of Plovdiv, namely on the main pedestrian street "Kniaz Alexander I Battenberg" no.11. 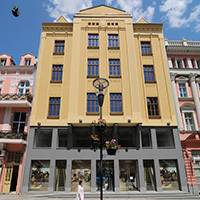 Star Gallery Shopping Center - the former "NARMAG" (national store) is one of the most impressive buildings in the central pedestrian zone. No competition is the number of passers-by - about 53,000 people who pass daily past the Star Gallery building. This outstanding result was found in a study in 2009 year conducted by the renowned Austrian consulting firm “Regio Plan”. 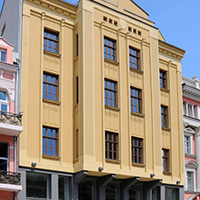 In 2004-2009 it was completely restored and thus adapted to the higher modern public standard – in line with the current urban development plan.